Born in Rosario, Argentina, Marcelo Spina is a renowned Architect and Educator with more than 20 years of experience designing and executing distinctive buildigns worldwide, gaining a reputation as one of the most innovative architects in contemporary design culture. Spina holds a Professional Degree from the National University of Rosario and a Master in Architecture from Columbia University in New York where he was the recipient of several honors including the William Kinne Fellowship and the Honor Award for Excellence in Design. 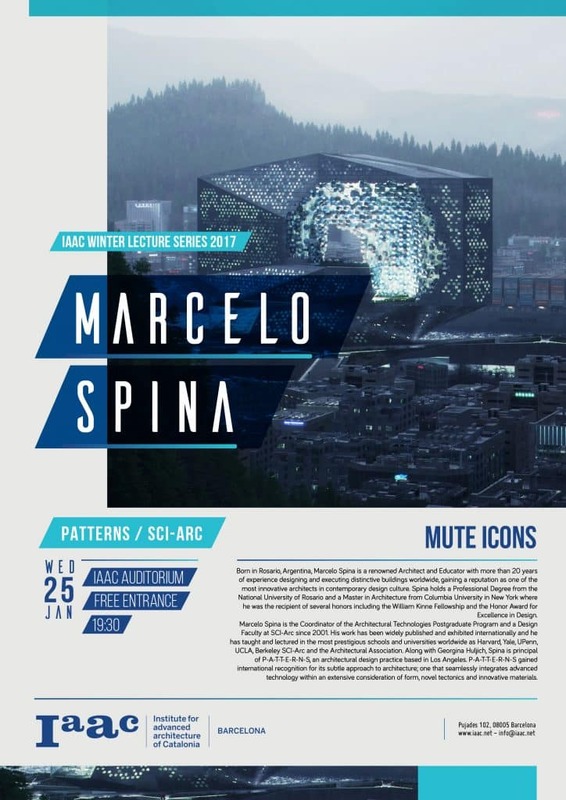 Marcelo Spina is the Coordinator of the Architectural Technologies Postgraduate Program and a Design Faculty at SCI-Arc since 2001. His work has been widely published and exhibited internationally and he has taught and lectured in the most prestigious schools and universities worldwide as Harvard, Yale, UPenn, UCLA, Berkeley SCI-Arc and the Architectural Association. Along with Georgina Huljich, Spina is principal of P-A-T-T-E-R-N-S, an architectural design practice based in Los Aneles. P-A-T-T-E-R-N-S gained international recognition for its subtle approach to architecture; one that seamlessly integrates advanced technology within an extensive consideration of form, novel tectonics and innovative materials.